Freeman Shen: "We will target the mass market." BEIJING -- Freeman Shen, a former top executive at Volvo, is setting out to raise $1 billion in an initial fundraising round for the latest China electric-vehicle startup to challenge Tesla Motors. 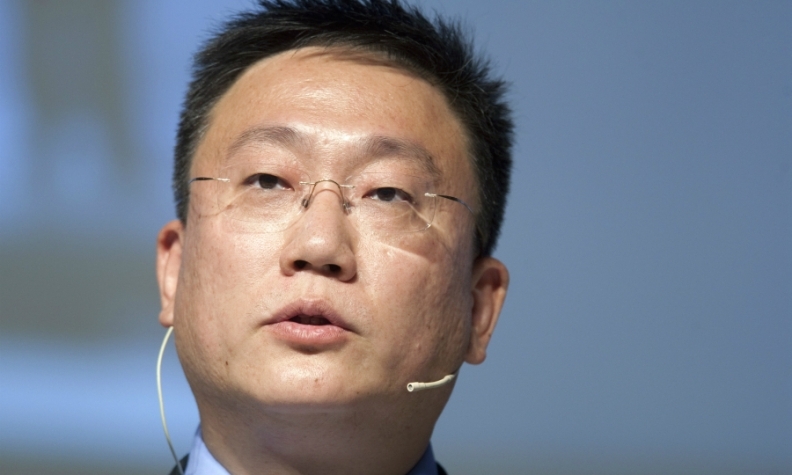 Shen left Volvo owner Zhejiang Geely Holding Group in 2014 and last year founded WM Motor, which he says has secured funding from both domestic and overseas investors. WM plans to introduce its first model in 2018 and boost production to more than 100,000 units annually within the following three years, the executive said Tuesday. "We have profound experience in the industry, which distinguishes us from other startup companies, even Tesla," Shen, who's worked in the auto industry for 22 years, said in an interview in Shanghai. "We don't want to make toy-like luxury cars for the minority. We will target the mass market." The sum WM said it's raised is a show of confidence in a startup competing with more than 200 Chinese electric-vehicle companies, some backed by the likes of Alibaba Group Holding's Jack Ma, Foxconn Technology Group's Terry Gou and Tencent Holdings's Ma Huateng. Both traditional automakers and a group of startups see potential in the government's commitment to boost yearly sales of new-energy vehicles -- its term for plug-in hybrid and fully-electric cars -- by 10-fold in the next decade. Startups rarely reach the so-called unicorn status of a $1 billion valuation in initial funding rounds. Zhejiang Ant Small & Micro Financial Services Group Co., known as Ant Financial and controlled by Alibaba's billionaire chairman Ma, raised funds at about a $40 billion valuation in June 2015. Tesla started with just $7.5 million in April 2004. To reduce dependence on oil imports and curtail pollution, the Chinese government is promoting what it considers a strategic industry by subsidizing both companies and consumers. It's seeking 3 million new-energy vehicle sales a year by 2025, from 330,000 in 2015, when the country surpassed the U.S. to become the world's biggest EV market. WM was named after the German word Weltmeister, which means world champion. Its management team has extensive experience in China's auto industry, ranging from product development, parts procurement, production and sales, according to Shen. The company joins a frenzy of upstarts seeking to speed up investment in China's electric-car sector. Chehejia, founded by Internet entrepreneur Li Xiang, said on Aug. 10 it began constructing an assembly plant with eventual capacity to make 300,000 vehicles a year. Just hours later LeEco, backed by billionaire Jia Yueting, announced plans to invest as much as 20 billion yuan ($3 billion) in a vehicle plant in eastern China and an auto theme park. WM is developing cars using two platforms and conducting road tests, Shen said. The company plans to apply for a production license later this year and set up a factory in eastern China, he said, declining to give more detail. Shen attended Harvard Business School's Advanced Management Program while working for Geely, which bought Volvo from Ford Motor Co. in 2010 in the largest overseas acquisition by a Chinese automaker. Shen previously spent more than a decade working at auto parts maker BorgWarner and Fiat Chrysler Automobiles.